This website is a portal for an ongoing series of Fall 2017 events bringing the Civil Rights Movement to life, inspire critical reflection on social justice advocacy, and spark initiatives that catalyze change. This event series—a kickoff to the Reverend Dr. Martin Luther King Jr. Symposium—is co-presented by the International Institute’s Conflict and Peace Initiative and the King-Chavez-Parks Visiting Professors Program as part of the regular Penny Stamps Distinguished Speaker Series. Additional support is provided by the College of Literature, Science, and the Arts; Department of Psychology; Department of Political Science; Institute for the Humanities; National Center for Institutional Diversity; Office of Community-Engaged Academic Learning; Rackham Graduate School; and Office of Research. 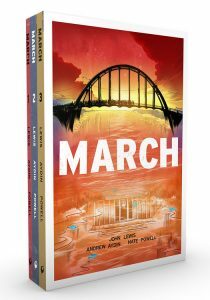 To borrow a copy of March, please visit the Ann Arbor District Library, Ypsilanti District Library , or the University of Michigan Libraries. 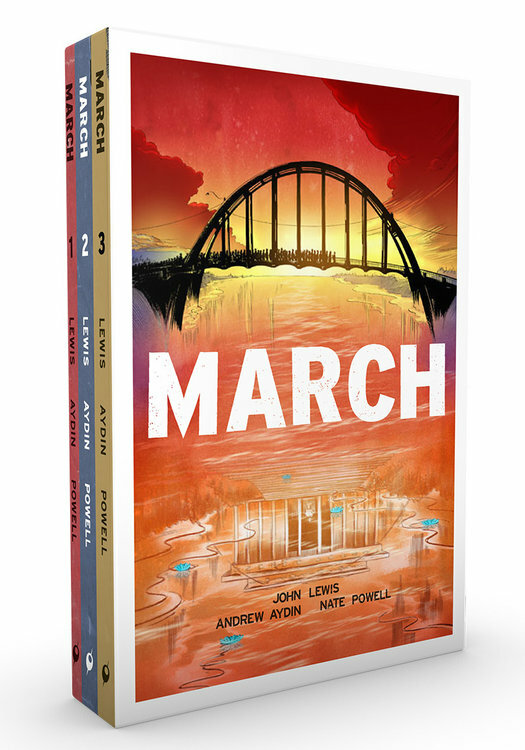 These libraries have collectively ordered more than 425 copies of the March trilogy.